…zen in the art of archery…well not exactly but karl khoe (one of the UNIDEE residents this year) is using it as a kind of “fantastical” guide and starting point to his art work The Target in Darkness. Another UNIDEE artist’s work i wanted to post. This time it’s by Angela Henderson who negotiated the language barrier like it almost did not exist (she – an English speaking Canadian – everyone she met outside Cittadellarte – Italian speaking Italians). It takes someone truly dedicated to the art of communication to just keep plugging away when you don’t share a language in common, but in the end through determination and sheer good will and a lot of drawing of diagrams, Angela managed to make meaningful connections and research this summer and those connections and exchanges are what her work is all about. 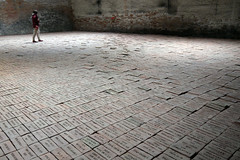 Inno al Pane (Hymn to Bread) is a site specific installation and video work located in a former panificio (bakery). 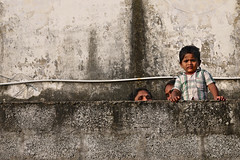 Activating cross-cultural narratives through the exchange of memories around bread-making, the value of human connection is centrally positioned. Anyway… we were all invited to come and write any stories we had on the subject of bread on the walls as part of a series of interventions on the space. 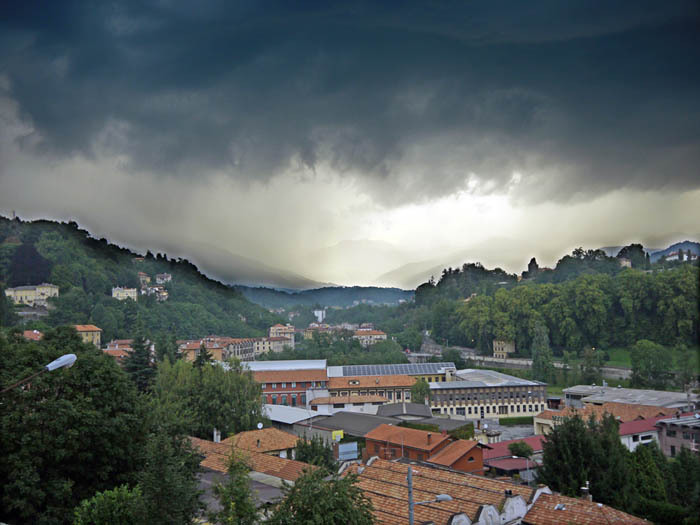 …We arrived in La Pigna asking ourselves if it could be the first UNIDESCO heritage site not because it is a perfect place but because it is a complex place: here you can find a heritage made not only by art and history but mostly by the people who live there. 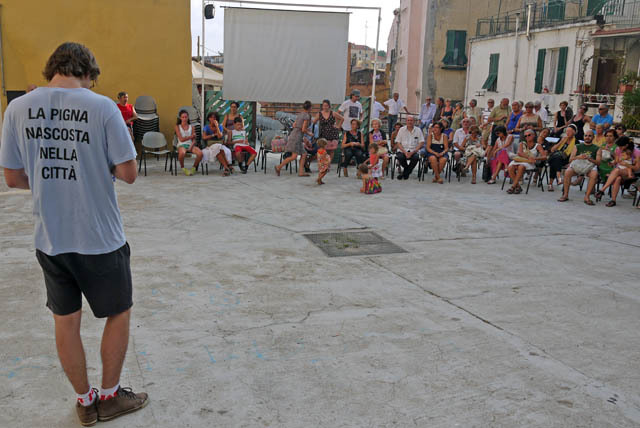 …Every day we went out on the streets, squares, shops and parks of La Pigna and Sanremo where we interacted with the inhabitants making interviews, group performances, distributing information material, inviting inhabitants to express their own opinion and to join us in this meeting. La Pigna was publicly declared a “new heritage site”. Citizens received this nomination based on the 12 points or values presented as 12 dance steps/movements. The audience were invited to participate and perform these movements in the dance/instruction event UNIDISCO. OK so this was a risky and i would say somewhat courageous decision on our part, because in the end we chose to synthesise a lot of serious research into a rather camp aerobics routine. And of course it polarised people somewhat, some did not get it, some loved it, some were just plain angry…but in the end if you invite a group of artists from an experimental residency to come and make work…then surely the point is to expect some kind of subversion on normal preconceptions…no? 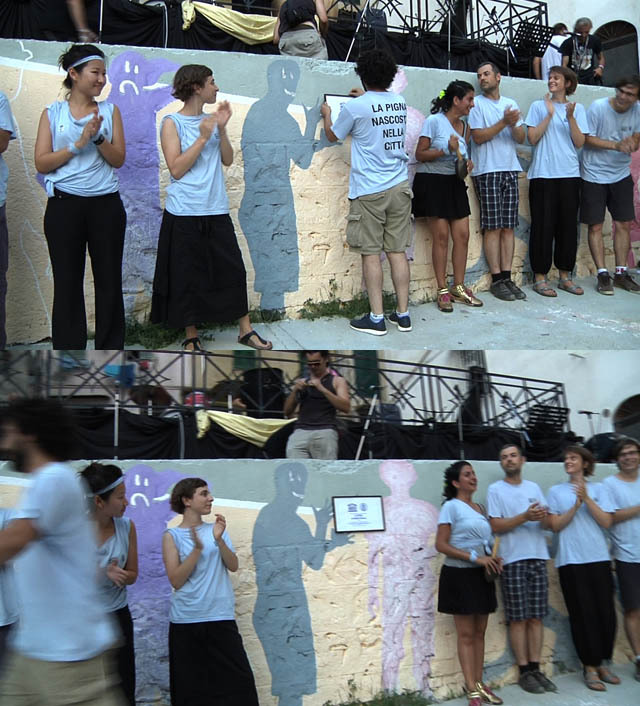 These movements represent the thoughts and suggestions proposed by the citizens of La Pigna during our stay there, now they must take this “testimony” and elaborate their own shared system of values, thinking of new and future generations. 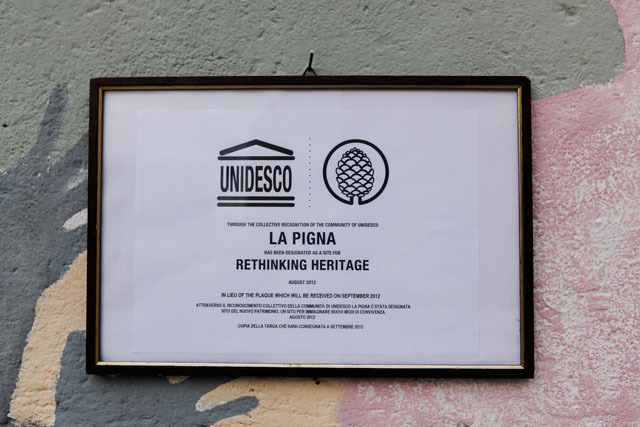 A plaque was awarded designating La Pigna the first UNIDESCO “New Heritage Site”. 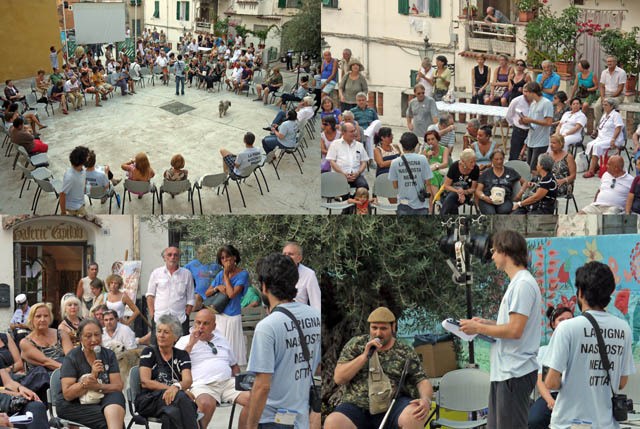 It was decided to provide a platform for the citizens of La Pigna and Sanremo to express their views of the concept of La Pigna as a New Heritage site…or anything really! “La Pigna” is the medieval city at the centre of Sanremo. It has steep, narrow and (sometimes) dark streets, because of this no cars can enter the quarter. The buildings that line these streets are often partially empty or vacant. Mainly, the people who live there are a few original inhabitants, immigrants from the south of Italy, foreign immigrants and Italians from the professional classes. 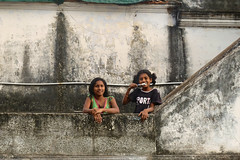 “La Pigna” has had bad press in recent years due to localised violence and drug problems. “Sanremo’s inhabitants who live outside La Pigna are not interested in La Pigna, even if it’s situated only 200m from the Ariston theatre! Today thanks to our intense and year-long scheduled activities, they now consider and are aware of what is going on in La Pigna, but they don’t yet perceive La Pigna as a place to live in and realise projects. Their vision is that of a kind of a stage: when the show finishes and they go back home. UNIDESCO acknowledged that we did not come to La Pigna to ‘fix’ problems or issues or to simply create an artistic gesture, but rather to operate as an independent artistic force research, to observe, ask, evaluate and present a dossier of collected information around the following areas: Identities, Politics, Commerce, Values, Morality, Power, Media, Structures, Time and Practical Common Sense. 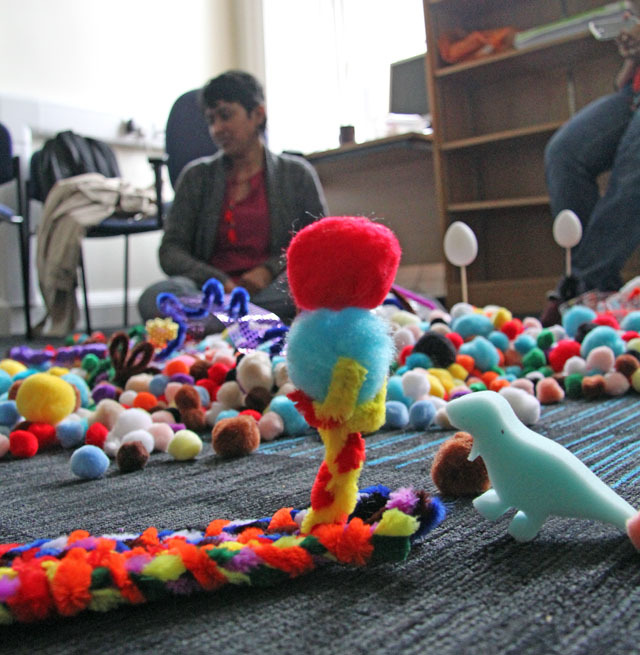 Conceptually this was approached by creating an artistic working group called UNIDESCO (a hybrid of the words UNIDEE and UNESCO), which mimics the actual UN organisation UNESCO. To strengthen our position of an outside, impartial force (which is also aware of its inbuilt prejudices and impartial views) we entered La Pigna as UNIDESCO, a fictive (even playful, ridiculous) organisation modelled on the entity UNESCO established by the United Nations to “create the conditions for dialogue among civilizations, cultures and people, based upon respect for commonly shared values”. Using camouflage, mimicry and serious play tactics, we operated as a kind of mirror to both UNESCO and also to La Pigna the place, attempting to provide the means of self-evaluation for those we encountered and met inside and out of La Pigna. 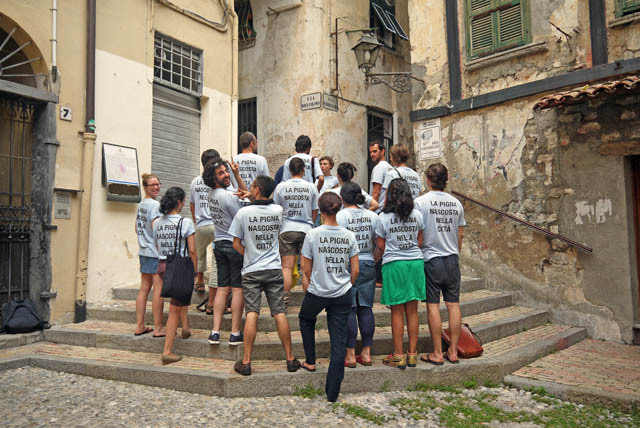 We asked questions, invited arguments, dialogue and even resistance, we explored the capacity for communal resilience and attempted to throw some light on what La Pigna is now, what it was and where it thinks it is going. Through this evaluation process we created a dossier to present our findings with regard to a unique value within La Pigna which we then used to establish La Pigna as the first UNIDESCO World Heritage Site. 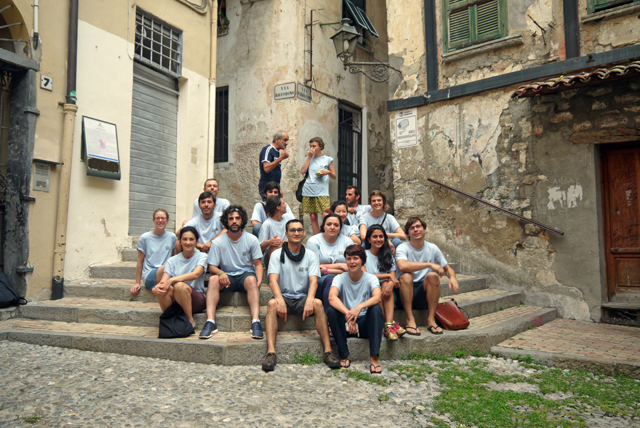 The “corporate uniform” of UNIDESCO; the text on the back of the t-shirt “LA PIGNA HIDDEN IN THE CITY”, refers to the fact that it is positioned right in the centre of Sanremo, yet it remains quiet with no traffic and very few visitors compared to the rest of the extremely animated town of Sanremo. 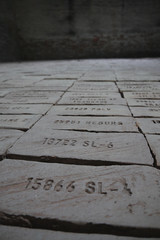 UNIDESCO is a collective work that addresses themes regarding an alternative concept of common and immaterial heritage. 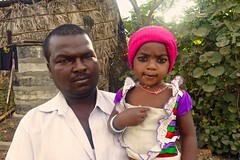 UNIDESCO’S mission is to rethink heritage directing new generations towards new models of being together. UNESCO defines heritage as the preservation of natural and cultural values. UNIDESCO is interested in facilitating the production of future heritage and new ways of living together, rather than just the preservation of culture symbols from the past. Future Heritage does not just regard buildings, property and space, but also the collective imagination of new ways of living together. Heritage is a living and dynamic thing and is the result of a process of the redefinition of cultural values based on the dynamic elaboration of cultural identity.